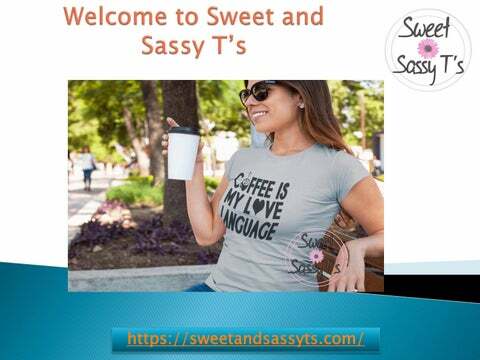 Sweet & Sassy T’s is a home-based business that designs and sells undeniably soft, high-quality, screen printed, graphic apparel. What makes Sweet & Sassy T’s stand out from the crowd? Without a doubt, it is the heart and hustle behind the name. Without the support from my family, I wouldn't be able to put my heart and soul into this dream. Every tee shared is meant to be an inspiration or a reminder of laughable moments in our lives. As a busy boy mom, I often find myself feeling like a hot mess & ever so thankful for God’s grace. And maybe, you too can relate! As a friend, wife, mother, daughter and sister, my hope is that you find something in our shop that matches your personality. I create inspirational, fun and appealing apparel and accessories that are comfortable and simple in design, without sacrificing the quality and style that is so important to me. My designs are both fun and meaningful--I have tees and tanks that help you share your faith, sense of humor, and personal style. 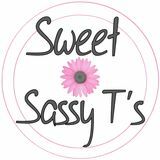 Sweet & Sassy Tâ&#x20AC;&#x2122;s are printed on top-quality products that come from ethical manufacturers.